Gunther Gerzso Wendland was born in Mexico City on June 17, 1915. Son of a Hungarian watchmaker and a musician from Berlin. His father died a few months after his birth and his mother then remarried to a German jeweler. During the Mexican Revolution they lost their business and had to flee to Europe in 1922. They returned to Mexico City in 1924 but the economic hardships had put such a strain on the marriage that Gunther's mother ended up divorcing and sending him to live with his brother Hans in Lugano, Switzerland. Hans Wendland had made a name for himself as an art historian and dealer, selling many old masters such as Titian, Rembrandt and works by Cezanne, Bonnard and Delacroix, paintings with which surrounded little Gunther during this time of his childhood. It was in Switzerland where he met Nando Tamberlani, the famous Italian set designer. With the Great Depression, the Wendlands had to sell their estate and art collection and sent Gunther back to Mexico with his mother and sister. Back home he started making set designs and writing plays. In 1934 he started working for a local theater building sets for their plays. In the following years, Gunther Gerzso made a name for himself in the world of theater working with several large companies and earning recognitions for his work designs. The world of theater gave him a steady source of inspiration and he started drawing and painting the diverse set of people he met. His influence was clearly from his days in Europe with a mixture of Picasso, Matisse and the Mexican Masters like Rivera and Jose Clemente Orozco. In the late 30's he entered an exhibition at the Cleveland Museum of Art, where two of his works were selected. He married in 1941 and moved back to Mexico City with his wife. Despite working on designing costumes and sets for hundreds of film an d theater productions, he now considered himself a painter and was invited to join a group of surrealists in Mexico along with Leonora Carrington, Alice Rahon, Remedios Varo, Benjamin Peret, and Wolfgang Paalen. Eventually, he became the best known abstract painter in Mexican history with a perfect balance of composition, color and texture which he acquired studying the Golden Ratio. In 1973, Gunther Gerzso was awarded the Guggenheim Fellowship. Then in 1978 he was recognized with the National Award for Arts and Sciences, one of Mexico's top artistic awards. 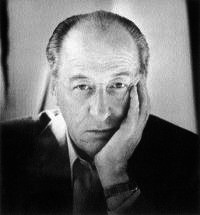 Gunther Gerzso, one of the greatest Latin American painters, according to Octavio Paz, died in Mexico City on April 21, 2000.